B-Tech: Why Do You Need Modern Education System? The world of engineers is fast and inevitable, we may not feel the difference instantly but we experience it on a timely basis. Maybe the role of technology in day-to-day life is the evidence itself. The life of an engineer in India is competitive, yet comprehensive, so the fear of losing a job is proportional to getting a new job. Every year the new layers of technologies produce new jobs and opportunities to the aspirants, a tech-savvy will get enough space to find a new job role in the respective domain. The timely knowledge up-gradation is the key to remain as a consistent performer in a workplace, whereas the context may resemble more about the IT firm, but the civil and mechanical industries are no different in the present scenario. Overall, the balanced lifestyle of an engineer is based on the performance and the adaption to the changes in the tech world. How SREC Is Helping Students To Secure A Life After Engineering? The engineering wave in India is huge and reaches new distance whenever it flows towards the shore. We know that sea waves are formed by the wind; which forms its way across the water surface. Similarly, new technologies and inventions are welcoming the new generation engineers to construct the future world. In response, many aspirants around the country are passionately involved themselves in engineering practices to face the challenges and prove their abilities on the work floor. Which Is The Best Branch Of Engineering? Funneling the current technology trends and evaluating what is happening around the science world, manufacturing industries, and construction firms can give some positive hopes to engineering graduates in terms of jobs and career growth. The engineering streams are expected to create healthy job opportunities in different fields, so the direction of unemployment wind would flow towards employment very soon. What Makes Engineering College "Top"
When it comes to the matter of higher education system, engineering majors make it stand differently in the list of other options. The different streamlines of the course allow students to rely on their interest, and it could be the reason why engineering is one of the formidable choices for the young guns of India. When you experience the tough time in your career, you will try to mull over the mistakes that you have committed. Basically, the life of engineering student is like a roller coaster ride, ups and downs are common and it takes courage to stand back and give a hi-five to the problems. But before that, taking an admission in a well-known college for a specific stream is like a battle against your mindset. On the other hand, friends, families, seniors, and experts will have their part of opinions for you to select the stream and college. Considering the suggestions to convince inner you are no less than a challenge, but if you are sure about your requirement then it will be easy to make a firm decision. What Makes Engineering College "Top" Placement, Infrastructure, Lifestyle, or Education? The day student completes the intermediates, search for the top engineering college begins, maybe not everyone but the majority of the students look for the opportunity to get an admission in well-known college around the country. The metro cities are favorite and grab the attention of future engineers. The colleges in neighboring state will hold enough hype to attract the students. On the other hand, students and parents put a lot of effort to list out the top colleges in the state and around the country to make a decision accordingly. But what is the top engineering college all about? And how to find one? Engineering: How SREC is Helping Students To Grow as Professionals? Which Is the Best Engineering College In Warangal? Most of the students put a hold on their core stream and try to get into the software firm as a result; getting a job in the software industry is a tough competition these days. On the other hand, reputed colleges around India are geared up to encourage the newbie’s to choose B-tech as a career option even after the recent downfall in the software industry. 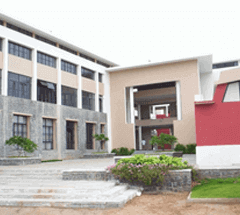 Why is SREC the Best Engineering College in Warangal? Every student needs an opportunity and every opportunity comes from the quality education; which revolves in every corner of the student’s daily routine in a college. The importance of the studying environment for the student is foremost to learn ethically and balance the lifestyle in a certain way. Hence the college atmosphere is important and basic to upkeep the personal and academic interest active. The solely dedicated academic practice has been followed over the years and it is hard to find the space for personality development in colleges these days, but SREC is striving to bring the change and you can find the different colors in the hands of students in its space. Where Do I Need To Purse My B-Tech? It’s common that most of the students in India dream to be an engineer, as time passes, they find the new interest, sometimes it could be the same as they dreamed about or the new one. Passion is a critical world, requires patience and constant effort to carve it in real life. B-tech is similar in this perspective too. Most of the students follow the crowd to take the majority of the decisions related to the career, be it selecting the stream of B-tech, or college, the dependency on others verdict is the common practice. Every aspiring student to be an engineer will have one common question and it is where do I need to purse my B-tech? Let’s keep it simple and short, yet to the point. Why is Warangal the Best Place To Start Your Engineering Career? As the time changes frequently in a different direction, people tend to match the moment in time, maybe in the same or different way. The hype of engineering is being alluded and followed by fresh faces around the country. The southern region of India is known for culture and tradition, in the same way, education has its own column to welcome the students around the country. Warangal is the new face in the race and it brings a huge difference in comparison with other cities.